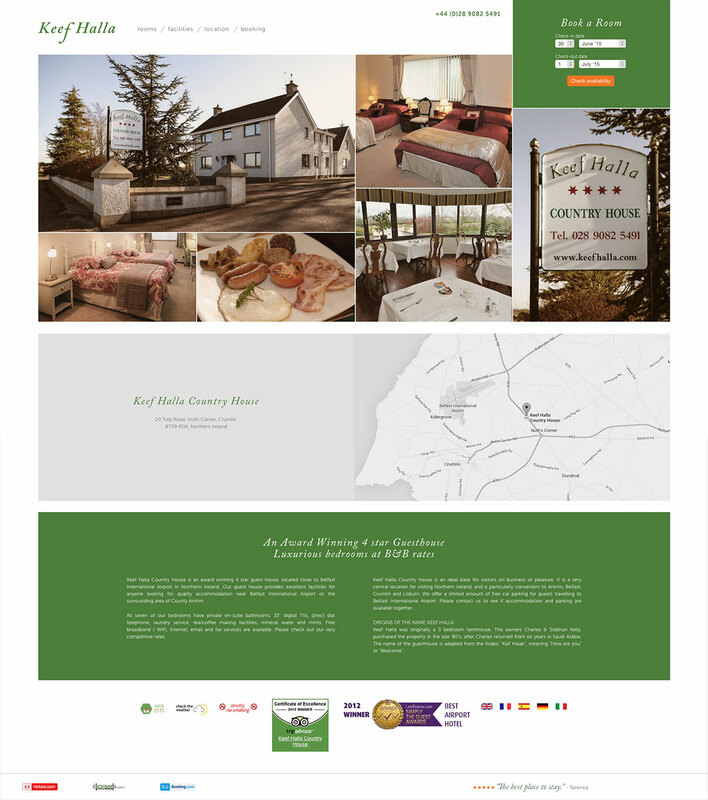 Northern Ireland guest house, Keef Halla, have been a long-time client of ours. Most recently, they commissioned us to completely redesign their website and implement a content management system. 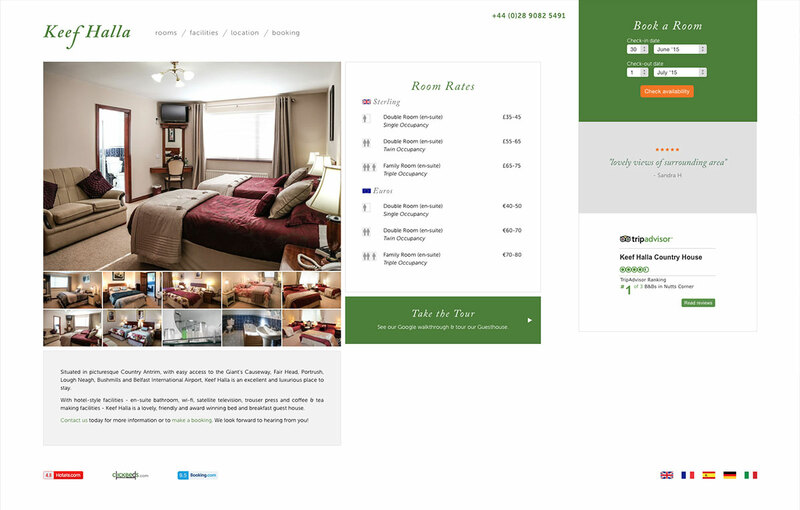 The result is a fully mobile-compatible and responsive website, built with a great many lovely features like a rooms gallery, a walk-through gallery, and integrated Booking.com reservations.